No. 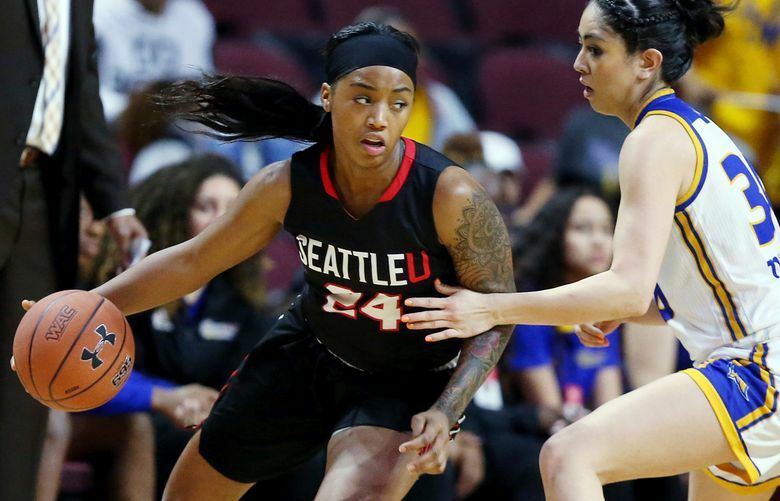 4 seed Seattle U secured a Big Dance berth Saturday with a 57-54 victory over No. 2 Cal State Bakersfield at Orleans Arena to capture its first Western Athletic Conference tournament title. 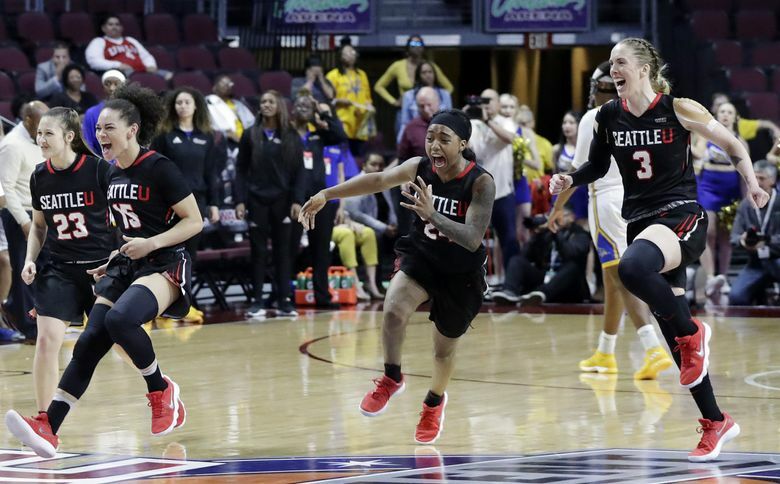 LAS VEGAS — Forty years after Seattle University began playing women’s basketball, the Redhawks are heading to their first NCAA tournament. No. 4 seed Seattle U secured an automatic berth Saturday to the Big Dance with a 57-54 victory over No. 2 Cal State Bakersfield at Orleans Arena to capture its first Western Athletic Conference tournament title. Perhaps fittingly, sophomore guard Kamira Sanders, the tournament’s MVP, sank a pair of free throws with 21.9 seconds remaining to secure the win. On the ensuing possession, CSUB guard Jazmine Johnson missed a short jumper and Jacinta Beckley collected the rebound with 4.6 seconds left. The Redhawks mishandled the next play, which resulted in a turnover and gave the Roadrunners one last chance to tie. The game ended with a harmless three-point attempt from the Roadrunners that never made it to the rim. 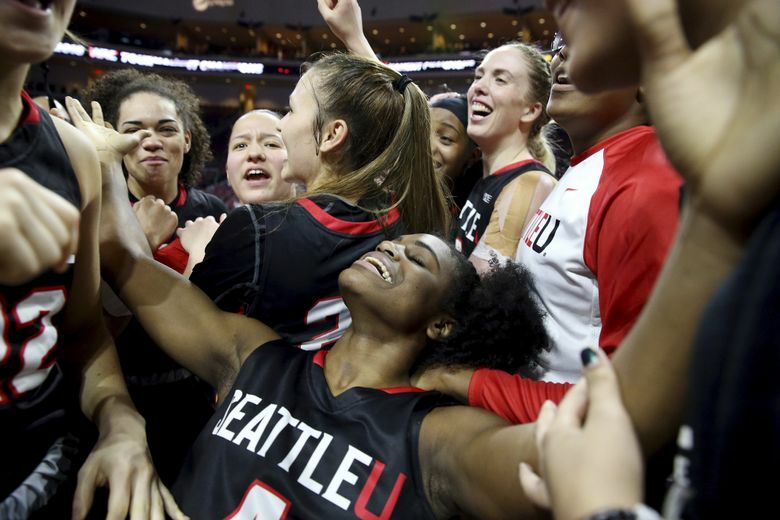 Seattle U players exploded from the bench and danced in delight at midcourt truly engulfed in women’s basketball March Madness for the first time in school history. “I’m actually numb, to be real honest,” second-year coach Suzy Barcomb said during a postgame celebration. “I’ve had super-high expectations, and I had to re-evaluate if I had too high (of) expectations for them. The Redhawks (18-14) head into the NCAA tournament with a five-game winning streak, including three straight in the WAC tournament. Seattle U made three previous trips to the WAC tournament title game, losing in 2013, ’14 and ’17. To win their first tournament title, the Redhawks had to overcome a difficult shooting performance (37.8 percent) and manufacture points at the free-throw line, where they connected on 18 of 19 shots. Seattle U converted just 6 of 21 shots (28.6 percent) in the first half and went into the break tied 25-25. Neither team led by more than eight points, and the Redhawks had to sweat out the final few minutes after Sanders put them ahead 55-47 with 3:33 remaining. SU’s offense went cold and didn’t score again until the final seconds. 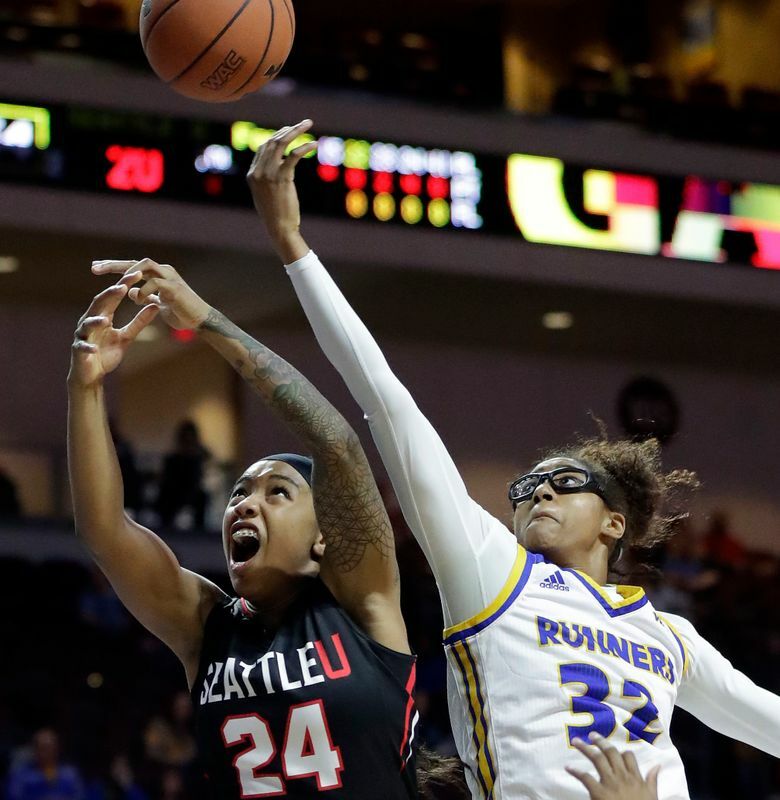 During the drought, Cal State Bakersfield went on a 7-0 run to pull within a point, 55-54. 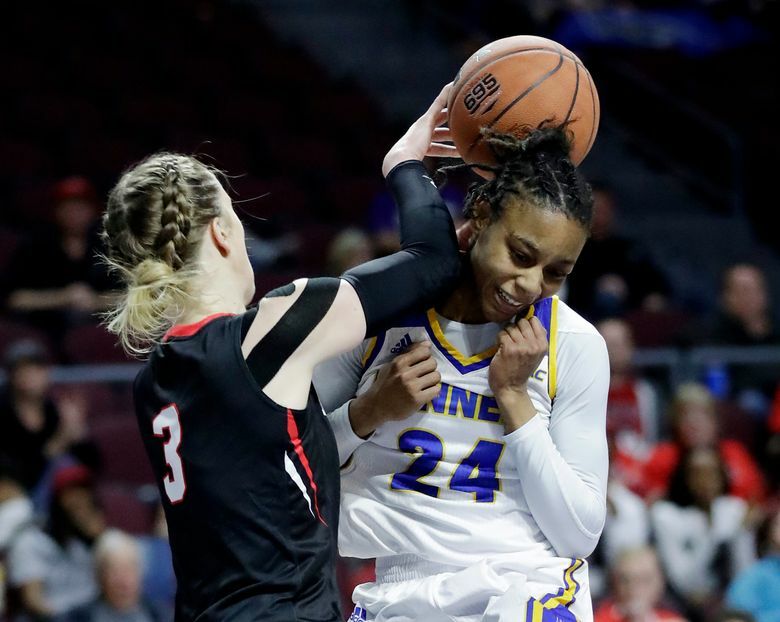 Montgomery, who was voted to the WAC all-tournament team, finished with 15 points, six rebounds and five assists, while junior guard Madeline Dopplick had 11 points, including two clutch three-pointers in the fourth quarter. 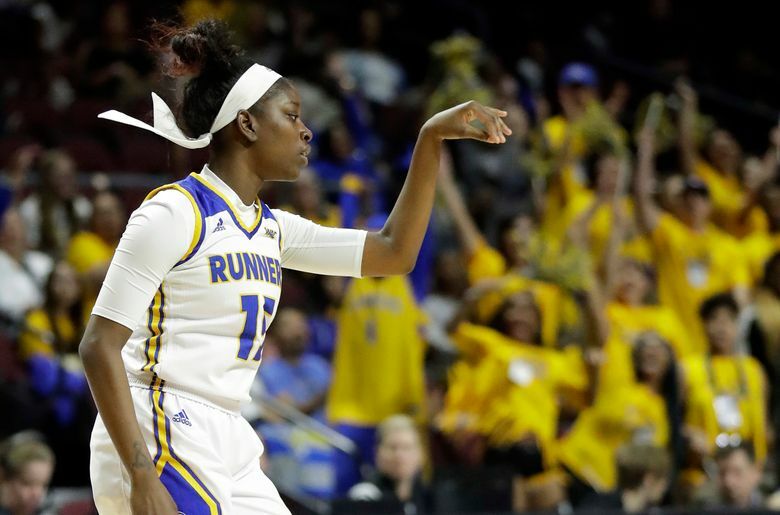 Jazmyne Bartee scored 15 points and Johnson had 12 for Cal State Bakersfield (18-13), which is likely headed to the Women’s Basketball Invitational. 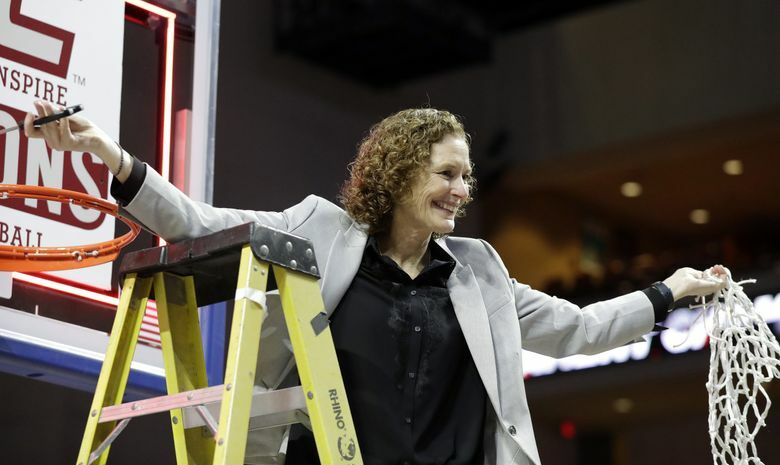 Seattle U will host a party for Redhawks fans at O’Brien Center to watch the NCAA women’s basketball tournament Selection Show that starts at 4 p.m. Monday on ESPN. The women’s basketball team is the fourth Seattle U team to make the NCAA tournament in the past two years, joining women’s soccer (2016), men’s golf (2017) and men’s soccer (2017). “We’ve got an exciting week ahead,” Fink said. “We’ll find out where we go with the Selection Show. Who knows where we’ll end up? We got our men’s basketball team in (the College Basketball Invitational). It’s just going to be a lot of excitement around Seattle U.